Since a consistent but not particularly impressive few days of light snowfall late last week, it’s been relatively dry and cold in Colorado’s high country. To be sure, powder stashes could still be found in the trees at Vail and Beaver Creek even earlier this week, but conditions are a bit hard-packed now. That’s about to change on Thursday, with forecasters calling for a storm to roll through Thursday through Saturday, followed by another one early next week. That should soften things up nicely and keep the momentum moving forward for what’s already been a stellar early ski season (see skier visit number below). DENVER, Colo. – January 12, 2016 – Colorado Ski Country USA (CSCUSA) reported today that total skier visits at its 21 member resorts were up 10 percent during the first period of the 2015/16 ski season, defined as Opening Day (October 29, 2015) through December 31, 2015, compared to the same period last year. 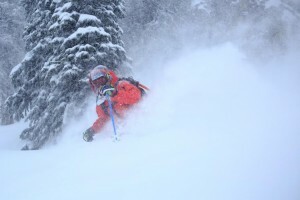 This year’s first period skier visits also bested the first period five-year average by 13 percent, making it the third consecutive year early season visitation has been up over the five-year average. Several snowstorms brought abundant snow to Colorado resorts in November and December, driving bookings and allowing resorts to open ample terrain during the busy holiday period. 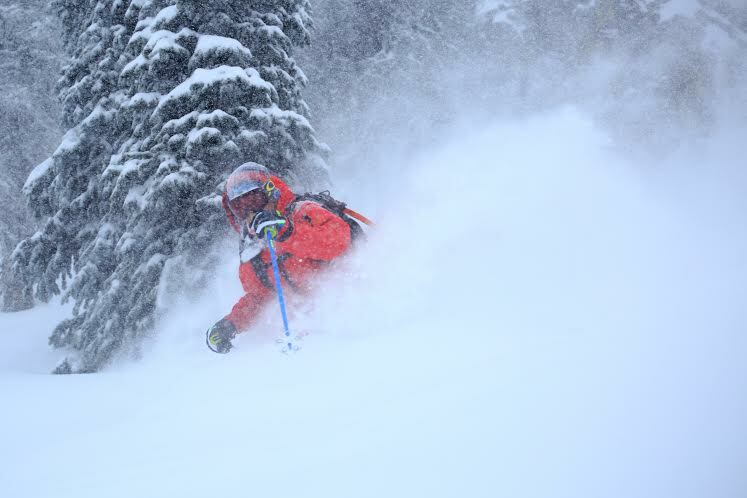 “Thanks to some well-timed storms, resorts were able to offer amazing conditions during the holidays and many resorts reached the 100-inch milestone before the end of the year,” commented Mills. “Even a couple very cold days between Christmas and New Year’s didn’t keep folks from taking advantage of the powder conditions,” commented Mills. The snow was just a part of what drew skiers to the slopes. “Travelers know that when they visit a Colorado Ski Country resort they’ll be met with friendly employees, personal interactions and a welcoming spirit, and that goes a long way with our guests,” said Mills. January and February event calendars at CSCUSA resorts are packed with family activities, international competitions and January Learn to Ski and Snowboard Month promotions. “CSCUSA is nicely positioned for mid-season business as resorts prepare to host events and welcome visitors for popular ski weekends over the Martin Luther King and President’s Day holidays,” commented Mills. January is also National Ski Safety Month in Colorado and skiers and snowboarders are encouraged to know and follow Your Responsibility Code; widely regarded as the key to skier and snowboarder safety on the slopes. Simply referred to as The Code, it is comprised of seven principles that collectively outline on-mountain skier etiquette and safe skiing practices. More information about how resorts are recognizing ski safety month and The Code can be found on the CSCUSA blog. Skier visits are the metric used to track participation in skiing and snowboarding. A skier visit represents a person participating in the sport of skiing or snowboarding for any part of one day at a mountain resort.